Once again students of ALLEN Career Institute outshine in JEE Main examination. 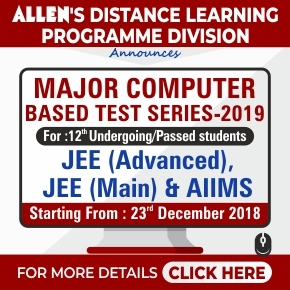 The result of JEE Main 2019 (January Attempt) has been released by National Testing Agency (NTA). As per the result, 15 students have secured 100 percentile, with one-third student from ALLEN Career Institute. Sh. Brajesh Maheshwari, Director of ALLEN Career Institute said, every year students of ALLEN Career Institute are setting the new benchmark. National Testing Agency (NTA) has released a list of 15 students who have secured 100 percentile, out of which 5 students are from ALLEN Career Institute. 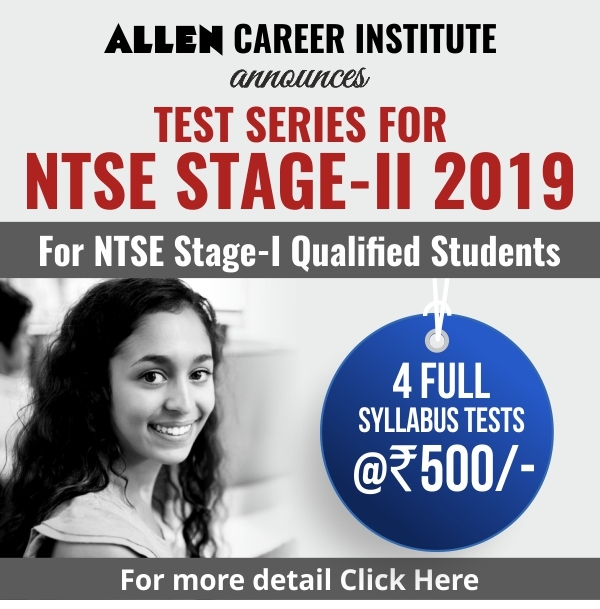 Sambit Behera, Jayesh Singla, Kevin Martin, Ankit Kumar Misra and Kartikey Gupta are the classroom programme students of ALLEN Career Institute. From the last 3 years, Sambit has been preparing for JEE from ALLEN Career Institute whereas Jayesh, Kevin, Ankit and Kartikey have been part of ALLEN from last 2 years. He further added that the first JEE (Main) Examination was conducted by NTA between 8th and 12th January 2019 in two shifts per day across 258 cities in the country and abroad. A total number of 9, 29,198 candidates were registered for Paper –I (B.E. /B. Tech.) in this examination. There were 467 examination centres across the country and abroad. From the last two and a half years, he has been studying in Kota and is currently a student of Class XII. He said that he has been preparing for JEE Main in a planned manner. Instead of picking up the topics randomly, he studied according to the schedule. Apart from this, he cleared the doubts in the class itself. After giving Weekly Test he used to hang out with friends. 30 minutes’ walk every day kept his mind fresh. He also used to play football. Right now Sambit is concentrating on JEE Advance exam. His aim is to pursue engineering in CS Branch from IIT Mumbai. He has secured 10 CGPA in 10th Standard and is an NTSE scholar. He has qualified the first stage of Chemistry Olympiad and is now preparing for the second stage. His elder sister Barnali Priyadarshini is pursuing engineering from NIT Rourkela. Father Chandramani Behera is an employee in SBI and mother Narmada Behera is a homemaker.